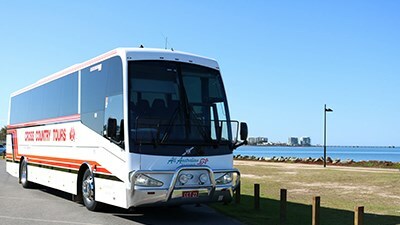 Were proud to own and operate our own fleet of luxury, air-conditioned tour coaches from our depots based in Sandgate, Queensland and Thornton, New South Wales. Our fleet managers ensure that our coaches are regularly maintained and kept in immaculate condition before leaving our depot. Do you have a toilet on board your coaches? 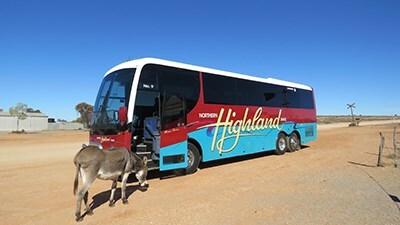 Our Cross Country Tours and All Australian Journeys coaches do not include on board toilets. When you board our coaches, they will always look and smell immaculately clean. 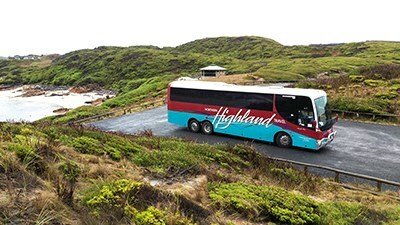 Our tours are planned to allow for regular comfort stops, refreshment breaks and opportunities to see the sights close up. With the space we save, were able to ensure generous leg room all throughout the coach and no obstruction to your view. Can I request specific seating? Seating requirements for medical reasons will be taken into consideration with presentation of a medical certificate. Please mention this at the time of booking. Can I choose my favourite seat? 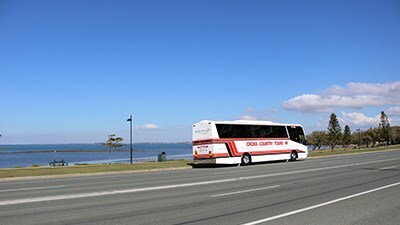 Your coach crew organise a daily seat rotation system for our holiday tours, ensuring all passengers have the opportunity to enjoy the front area and window seating.